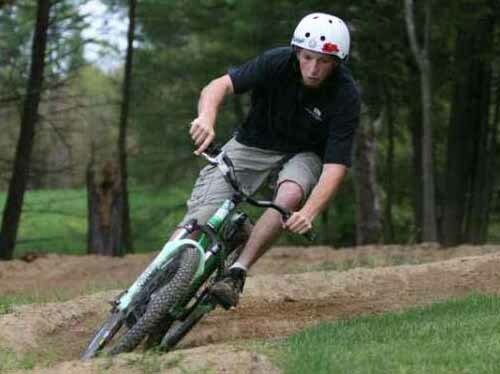 Through the partnership and hard work of the Vermont Mountain Bike Association (VMBA) and the Vermont Youth Conservation Corps (VYCC), the United States Forest Service (USFS) is allocating some $154,000 to create new and improve existing mountain bike trails, as well as increasing bike access throughout the Green Mountain National Forest. The focus of this project is to improve sustainable mountain biking locations which are compatible with other outdoor activities in order to help diversify the states’ recreational facilities. The VMBA is a non-profit organization based in Waterbury, dedicated to promoting trail advocacy through education, planning, funding, establishing and maintaining multi-use trails throughout Vermont. They endorse responsible, environmentally sensible trail use and the creation of community recreation trail networks. The VYCC is also a non-profit youth, leadership, service, conservation and education organization that instills the values of personal responsibility, hard work and respect for the environment. The allocation comes from the American Recovery and Reinvestment Act and will be used to build a nine-mile mountain bike trail dubbed the Chandler Ridge-Leicester Hollow Loop Trail. The trail will start and end at the Silver Lake campground in Goshen, with the trail work taking place in Moosalamoo National Recreation Area, which is a congressionally designated area within the National Forest. The new trail will also be accessible from Branbury State Park in Brandon and the Blueberry Hill Ski Center in Goshen, while the VMBA will continue to provide project management and oversee all of the crews performing the construction of the trails. They have been partnering with the USFS for over three years on the project and are looking towards a completion date of fall, 2012. “We have been partnering with the USFS for three years on this project and we saw good progress in 20010, through the hard work of VYCC crews and we are delighted with this funding allocation for 2011,” VMBA Executive Director Patrick Kell said in a recent press release statement. “We expect to see the Chandler Ridge-Leicester Hollow Loop Trail completed or close to it, by the fall of 2011. A big thanks to the USFS for their vision in developing this trail.” The new trail will offer a unique destination, due to the combination of trails along the shores of Silver Lake, a ridgeline trail on Chandler Ridge, fascinating geology in Leicester Hollow and camp ground facilities at Silver Lake, with the aforementioned additional access from Branbury State Park. coaches also received championship jackets for their accomplishments. basketball game at Holland Gym in Westminster. championships (12) in the state. on a post-up move and the other off an offensive rebound. Emily Dufault halfway through the quarter. Terriers were alive going into the second quarter trailing 12.
causing the Bellows Falls to call a time out to stem the tide. Dufault had six for Bellows Falls, despite limited minutes. 3-pointer with a defender right in her face. points to a very good team, Bellows Falls coach Aube said after the game. first quarter was also tough to overcome. Mustapha led the way for Bellows Falls with six points.